Brazilian mixed fighter Antonio "Bigfoot" Silva says he wishes Fedor Emelianenko would not quit the sport, expressing full readiness for a rematch with the legendary Russian. ­Thirty-four-year-old Emelianenko, considered by many to be the best pound-for-pound fighter on the planet, said it was time for him to retire after losing to Silva in the quarterfinals of the Strikeforce Heavyweight Grand Prix on February 13. 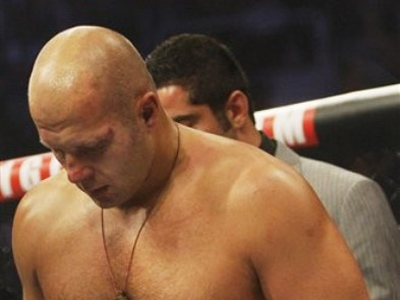 ”I was very surprised and, frankly, very upset about [Fedor’s decision]. I admired him before we met, but now I admire him even more. He is a great champion and great person, and I think he still has much to show us. I hope he decides not to leave,” Silva told Sovetsky Sport newspaper. 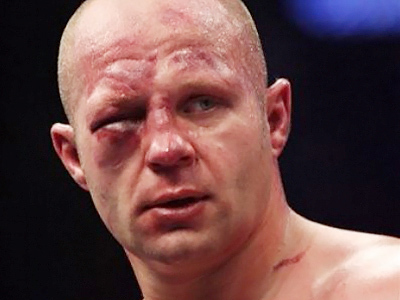 Fedor later said that those were just “harsh words”, but there is still no certainty over his career, with a rematch against Silva being one of the possible options. The Brazilian says the idea of fighting Emelianenko again came to the heads of his manager and him. “But we didn’t want to throw down the gauntlet, we just wanted to say that they we are ready for a rematch, if someone still has doubts about who the winner in our contest was. And the doubters are still there,” the 31-year-old explained. 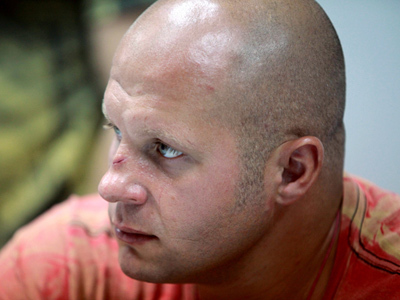 The 1.93-meter-tall athlete also explained why he fell on his knees before Emelianenko after their match. “He's the best fighter in the world, and I think he deserves the maximum respect from all of us,” he said. Modest Silva, whose record in the cage is now 16 wins out 18, also said that, even after beating the best, he does not consider himself to be the best on the planet. ”I still have a long road ahead me, and I have to face a lot of good guys to be Number One, although I’ve made a significant progress in the rankings,” the fighter said. Still, he was greeted at home like a hero. ”Everybody was so happy. Life stopped in my hometown of Campina Grande as everybody was watching the bout live,” Silva remembered.